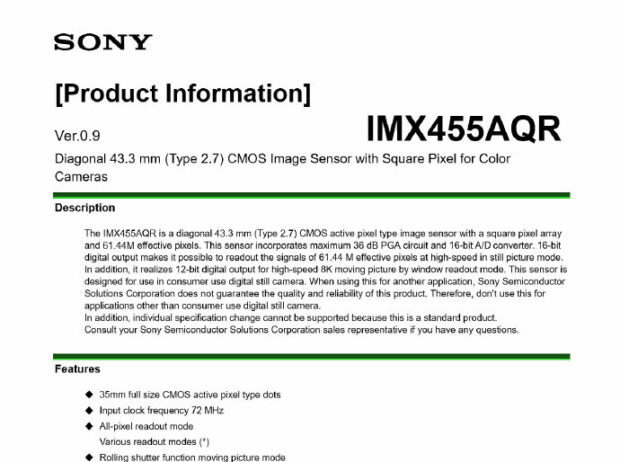 A new full frame image sensor IMX455AQR now leaked on the web. This Sony IMX455AQR image sensor features 60MP, 8K Video, and native ISO at 64. According to source, IMX455AQR is a low version of IMX551. IMX455 will probably used on Nikon D6/Z8.